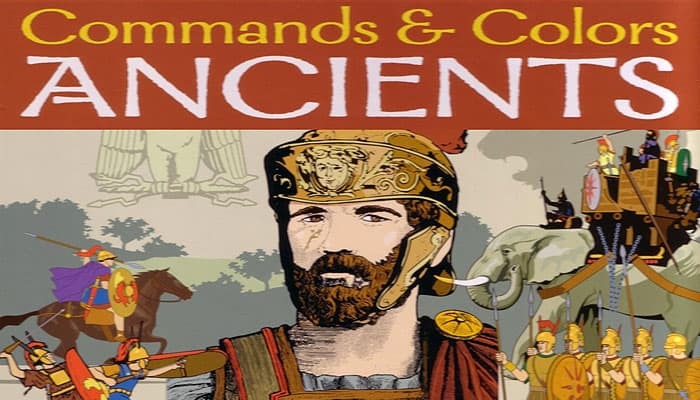 "Commands & Colors: Ancients depicts warfare from the Dawn of Military History (3000 BC) to the opening of the Middle Ages (400 AD). Quite an ambitious undertaking for one game, yet Commands & Colors by design is a unique historical game system which allows players to effectively portray stylized battles from this time in history. The 15 battles, showcased in the scenario booklet, although stylized, focus on important terrain features and the historical deployment of forces in scale with the game system. The battles include Bagradas, Cannae, and Zama". "The scale of the game fluctuates from battle to battle. For some scenarios, an infantry unit may represent a legion of fighters, while in other scenarios a unit may represent just a few brave warriors. But the tactics you need to execute conform remarkably well to the advantages and limitations inherent to the various units, their weapons, terrain and time". 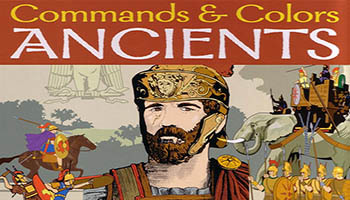 "Unlike its older brother, Battle Cry by Avalon Hill (Hasbro), Commands & Colors: Ancients is moderately more complex and contains additional historical details without the battlefield clutter. Most scenarios will still play to a conclusion in less than an hour". "The command card system, drives movement, creates a true fog of war and presents both challenges and opportunities. There are four types of command cards: Leadership cards, Section cards, Troop cards and Tactic cards". "The battle dice system resolves all combat efficiently and quickly. Each battle die has one Light, one Medium, one Heavy, one Leader, one Flag and one Swords symbol". "The game mechanics, although simple, will still require strategic card play, historical tactics, timely dice rolling, and an aggressive yet flexible battle plan, to achieve victory". 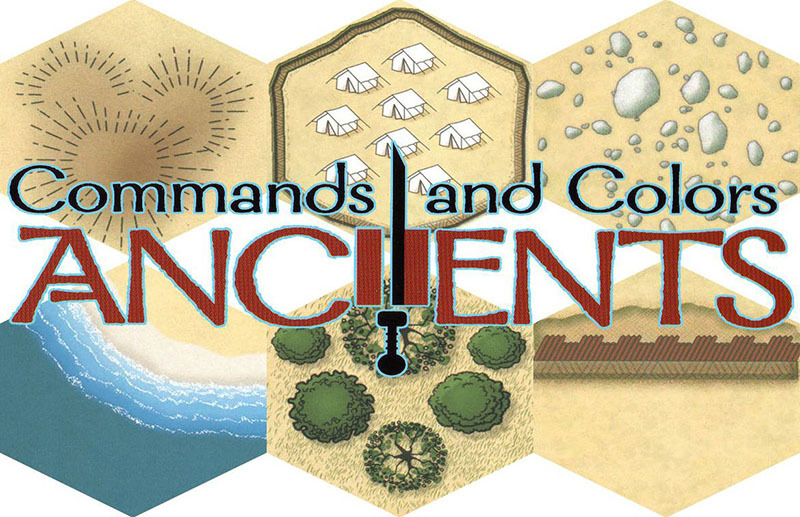 The Commands & Colors: Ancients game system allows players to portray important engagements of ancient history. The battles, included in the scenario booklet, focus on the historical deployment of forces and important terrain features on the scale of the game system. The scale of the game is flexible and varies from battle to battle. For some scenarios, an infantry unit may represent an entire legion of soldiers, while in other scenarios, a unit may represent just a few brave warriors. Light infantry units (light infantry, light sling infantry, light bow infantry) may move one or two hexes and battle. Auxilia infantry units may move one hex and battle or move two hexes and not battle. Auxilia units are classed as Light foot units for the purposes of being ordered to move and taking hits. Medium infantry units may move one hex and battle. Warrior infantry units may move one hex and battle or move two hexes and battle if the second hex takes them adjacent to an enemy unit (warriors can only move two hexes in order to battle in Close Combat, and this Close Combat is compulsory after a two-hex "charge"). Warrior units are classed as Medium foot units for the purposes of being ordered to move and taking hits. Heavy infantry units may move one hex and battle. Heavy War machine units may move one hex but may not battle when they move. Heavy war machine units are classed as Heavy foot units for the purposes of being ordered to move and taking hits. Movement: No movement restrictions for foot units except war machine units, which may not enter a broken ground hex. Any mounted unit or unattached leader must stop when it enters a broken ground hex and move no further on that turn.